We’ve followed David Litchfield‘s work for a while now and have a particular penchant for his bearded, tattooed hipster characters. He then announced his exciting news as he became a fabulous addition to The Bright Group family. We knew he’d be destined for great things and it didn’t take long before he started tweeting exciting snippets of his first book. So we were only too happy when the lovely peeps at Frances Lincoln sent us a copy of his debut picture book, due out this autumn. 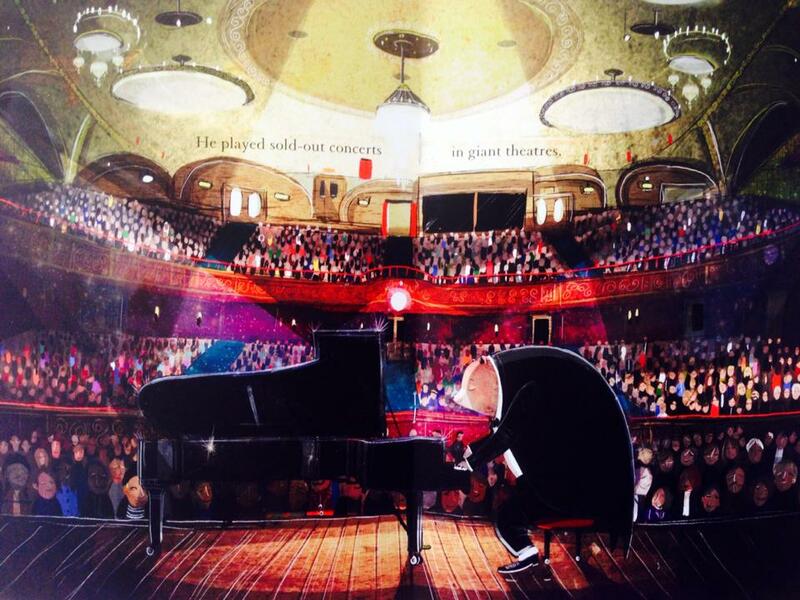 ‘The Bear and the Piano‘ is positively gushing with Litchfield‘s exceptional use of light and texture and provides an overwhelming sense of atmosphere. 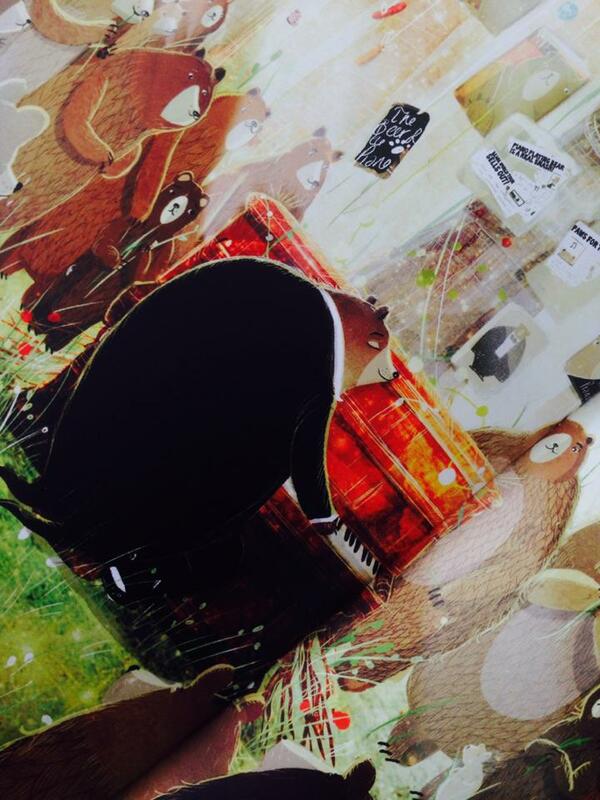 The bear finds a piano and plonks his stubby paws on the keys. He does this day in, day out, until he plays beautiful sounds from this strange thing he’d found. He soon gets snapped up and whisked off to the bright lights of the big city, where he plays to huge audiences, in the grandest venues. Despite his fame, fortune and numerous awards, something is missing. 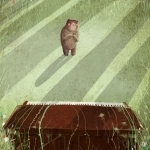 He longs for the forest, but what will he find when he returns? Litchfield’s distinctive style and rich illustrations provide the perfect accompaniment this tale of tenacity, exploration and belonging. We can’t wait to see how he follows what is destined to be a most successful debut. Oh, I love this sneak peek! Thanks for sharing it with us. This goes on the Must Read PB list, for sure. David Litchfield is a great artist. 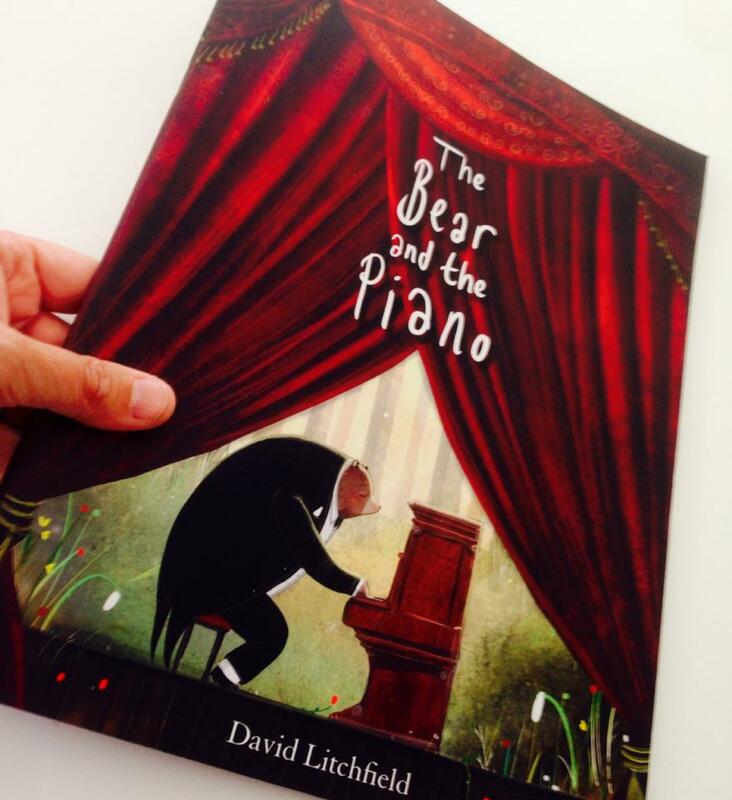 His debut picture book, “The Bear And The Piano” is something my younger students are sure to enjoy. Can’t wait for it to come out!